With the vestiges of a long winter finally slipping by, we have been able to make some realistic progress for projects, quite literally, kept on ice. 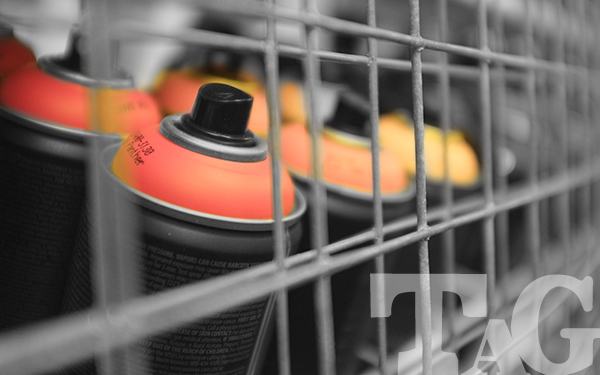 Having pursued the correct channels for creating any piece of urban art, particularly those involving spray paint, we were granted permission by all those concerned, and had parked the results of our rectitude, waiting for conditions to improve. So armed with an iPhone-toting colour swatch, TAG hit the Brick Lane environs, and paid a visit to Chrome and Black - a Shoreditch shop respected as the place to buy your urban art armoury. We were first met by the shop dog. And having passed the sniff test, then proceeded to travel the banks of battery-farm-like spray paint displays. 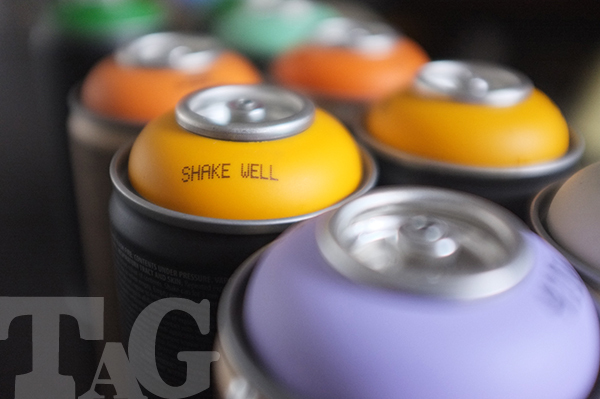 From an artist's perspective, the sheer range, and lustre of the spray paint palette was mouth watering. Luckily any impromptu reassessment of our flower box themes was avoided, rational thinking prevailed; no fluorescent foliage in N15! A safe purchase of Montana Gold and Black occurred. Back at HQ we just need a good day - to get busy with 'Orangina', 'Melon Yellow', 'Lilas Tendre', and 'Denim Stonewash'; among others. Then its time to Shake Well.